I am in your eye. I am a school child. I am a word of five. What am I? 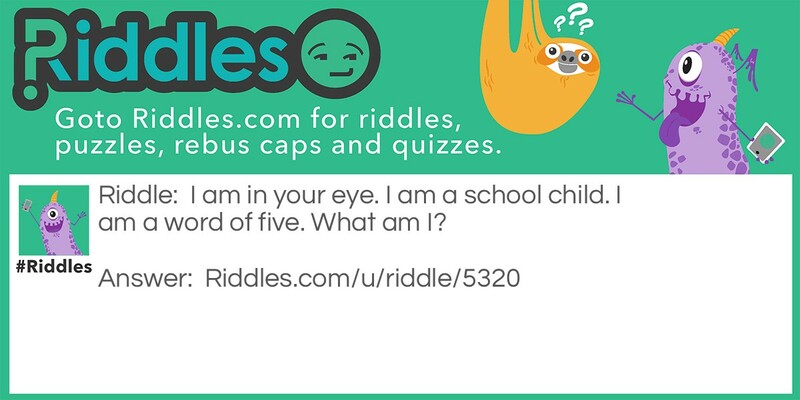 In your eye Riddle Meme with riddle and answer page link.